No spam, no cookies ... easy peasy and you can unsubscribe at any time. Get the latest news on promos, (Advance Reader Copies,) and much more. As a member of T.A. 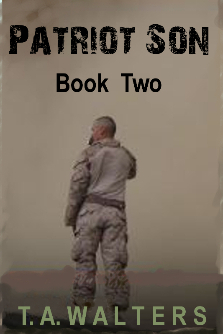 Walters newsletter, you will have access to the latest free book promo's. In addition to the latest news on upcoming books by T.A. Walters, you will be eligible to receive Advance Reader Copies (ARC) on new releases. Newsletters also allow you the chance to 'unsubscribe' if you choose.